I had the pleasure of meeting Mark Pryor in person over the weekend at Bouchercon (a Bouchercon post is in the works, will probably be up next week). He is ridiculously charming--he is very charismatic--and his debut novel, The Bookseller came out yesterday! It is getting rave reviews so please stick around for the purchase links below! Mark Pryor is a former newspaper reporter from England, now an assistant district attorney with the Travis County District Attorney's Office, in Austin, Texas. He is the creator of the true-crime blog D.A. Confidential. 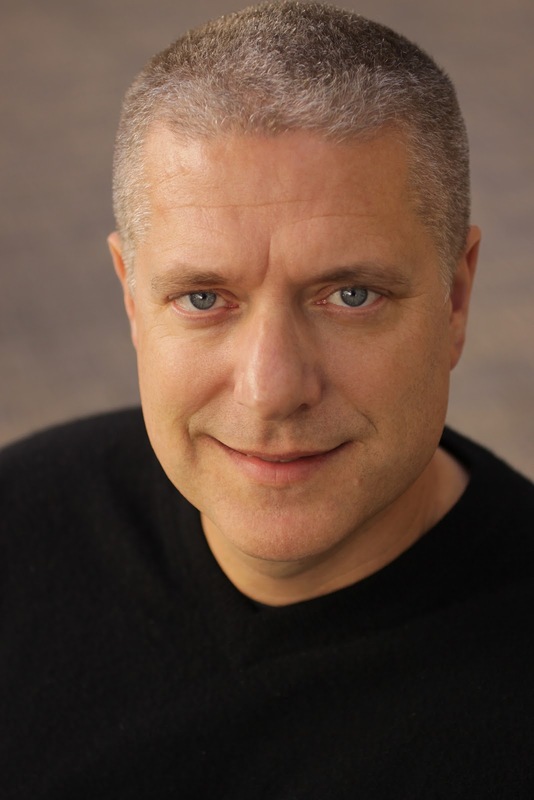 He has appeared on CBS News's 48 Hours and Discovery Channel's Discovery ID: Cold Blood. THE BOOKSELLER is his first mystery novel. Mark was gracious enough to grant me an interview so here goes! 1. What was your inspiration for writing The Bookseller? As it happens, and very appropriately, I was in Paris with my wife for a brief vacation. We love the city and a few days there is guaranteed to set my mind wandering. I bought a notebook at a little store and just started jotting down ideas. Planning out a book while sitting in a café in Paris, well, that's my idea of heaven. I've always wanted to write a series, and I had the idea of creating one where the different facets of Paris play a role. For The Bookseller it was the bouquinistes by the River Seine. For the next one it's the beautiful, and huge, cemeteries. As for Hugo Marston, my hero, he's an amalgam of people I've known or met, or would like to be. I knew that I wanted to move away from the trend towards MCs battling demons, alcohol, drugs, relationships. Not that there's anything wrong with that, I just didn't think I had anything to offer in that vein. And I do like the idea of a return to more a traditional MC, the genuinely nice guy with a handy set of talents. 2. You’re a prosecutor. In my experience, lawyers—especially prosecutors—work a lot of hours. How do you balance it all? Your family, your job and writing? How do you find time to write? You know, I'm very lucky because I don't work that many hours. Or maybe I'm very lazy?! No, I have always been able to do my job within the work week, and unless I have a trial then I am home by six and never work weekends. I usually write at the library close to home, a couple of hours a day on weekends. My family has been amazing, especially my wife of course, so supportive and understanding and they help me find time. I am also lucky in that when I sit down to write I can do so pretty quickly. I can knock out two thousand words in a couple of hours, and don't need to do a whole lot of rewriting. 3. Can you tell us a little about your writing process? Sure. I'm not an outliner, if that's what you're wondering! I do keep a journal for each book in which I jot down ideas, either about the plot or characters. But the journal evolves with the book and a lot of what goes in there doesn't make it to the page. So I don't come up with every idea up front, but I do have to write them down when they pop into my mind else I'll forget them. 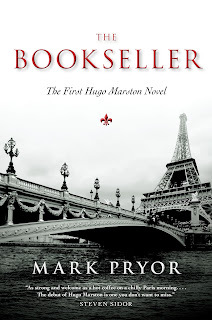 As for the development of the story, well, as I mentioned before I've been choosing an aspect of Paris to explore for the Hugo Marston series and with The Bookseller I decided on the bouquinistes, having poor old Max kidnapped. Then I had to answer the question Why? The same with the next book in the series, I have to know the solution , to know where I'm headed, when I start to write. What I don't always know is exactly how to get there! But that's the fun part, because as I stumble towards the solution I also work to camouflage it, covering it up with action and conflict, all the while dropping clues for the reader. 4. How long did it take you to find an agent? How many rejections? How high can you count? The Bookseller is the third novel for which I sought an agent. The first two never made it, so dozens and dozens of rejections for those. The Bookseller got more interest from agents early on, but I'd say I got ten or fifteen outright rejections. From first query to signing with Ann Collette was pretty quick though, about six months. Several other agents had the full manuscript when she offered to represent me and I accepted pretty quickly. I really wanted to work with someone who was enthusiastic and I got very lucky with Ann, she's amazing. 5. How long were you on submissions? About a year. Ann is a very hands-on agent in terms of editing, so we did several months of back and forth, and a little more after some early rejections from big publishers. That's a nerve-wracking process, too, we got so close but in the end the major houses passed. Funnily enough, I got two offers on the same day, though when Ann told me Seventh Street wanted three books, well, I jumped at that as you can imagine. And they have been fantastic to work with, as a new imprint of an existing publisher they have the enthusiasm of a beginner but the machinery of an existing house. 6. What advice would you give to writers who are just beginning their journey to publication? I'd say two things. First, work on your writing, your story. As I mentioned, The Bookseller was my third completed novel and is head and shoulders above the first two. Yet I peddled the first two, not realizing they weren't good enough. So if you're not having luck the traditional route, it may just be you're not there yet. That's a hard thing for people to grasp, to accept, and I know because clearly I didn't. Yes, I'm afraid I'm one of those people who believe that good writing will get you there, eventually. I'm sure there are exceptions but I do think it's true. Which brings me to: Stick with it. Going the traditional route, via an agent, is a punishing, slow, brutal process and many times over the years I thought I'd never make it. It can also be demoralizing, all those rejections from agents and then editors. But getting that one call from an agent, the nod from one publisher. . . those things are utterly priceless. For me, going the traditional route is not just about getting the marketing, distribution, even the editing. It also carries with it a certain validation I knew I wouldn't get from self-publishing. My name is on the cover of a book because someone else put it there, not because I did. I see so many people getting rejected and then leaping into self-publishing and I hate that their books don't really see the light of day, when I see that initial excitement turns to frustration when they don't sell more than a few copies. Along the same lines, I'd also throw my backing behind small, indie publishers. I shot for the big guys, yes, but the support (in terms of marketing) I've gotten from my publisher has been amazing. And, I'm guessing, more than I would have gotten from one of the big six, especially as a new author. I may be wrong about that but suffice it to say I've been very lucky. I've pre-ordered the book for my Kindle. I hope you guys will check it out too! I love to read mysteries and I have the utmost respect for people who craft them...there's a lot of work in those plots. Best of luck Mark! Great interview! Looks to be a great book, too. Great interview, Lisa, thanks for sharing. And best of luck to Mark; your book sounds interesting! Ridiculously charming is right. I don't remember the last time I met someone quite so charismatic. Doesn't hurt that he's easy on the eyes or speaks with a lovely Enhlish accent. If his book is even half as engrossing as he is, it'll be a bestseller in no time. I look forward to reading it. I'm kind of intrigued by the story. As soon as you said the old bookseller was abducted at gunpoint I was already mad at someone! Best of luck with the novel. That cover is fabulous, by the way. Thousands of words in just a couple hours. I'm envious! Fantastic interview! And The Bookseller has me intrigued. Thanks everyone, you are all too kind. And especially to Lisa, who not only did this interview with me but has been a supportive friend throughout this publishing year. Many thanks, Lisa, and to all of you for the nice words. I hope the book lives up to your expectations! Ooo, sounds like a fantastic premise. Great interview Lisa! A convincing thriller is a tricky thing to pull off. Sounds like Mark has grafted for his success, which is great. Paris is definitely a very inspirational city and a great setting. Thanks for introducing us to Mark and his book! Love this setting! And the book sounds like it has plenty of hooks. Thanks for sharing! Sorry so long to comment, was out of town. Glad to hear the third time (book) was the charm! And good for you for continuing to write after the first two were rejected. That's the only way it gets done!